These sweet announcements spotted on ampersandity this morning made me smile. They feature Cathie's calligraphy & Tokketok's letterpress designs (love! those clouds are the cutest). Speaking of announcements, we're traveling today to see my brother swear in as an officer in the Navy. Very proud of him and happy to support him along side my Air Force hubby! 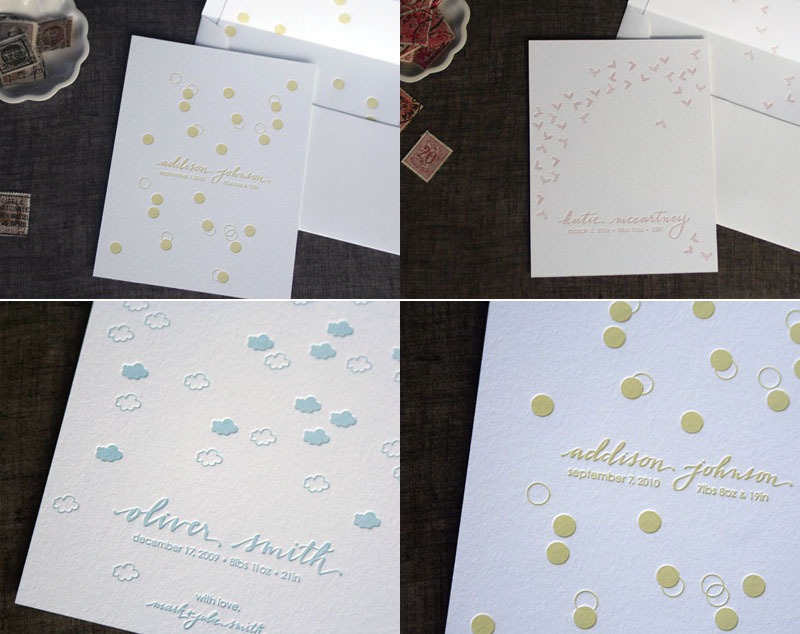 I love love love letterpress! agree...the clouds are just so cute! adorable! i love the font.